In addition to the surgical procedures performed by Dr. Joe Gryskiewicz, or “Dr. 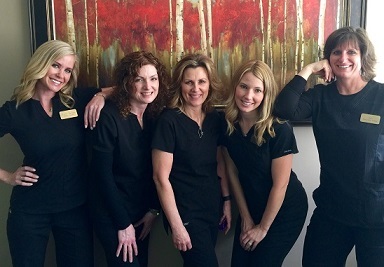 Joe,” Twin Cities Cosmetic Surgery also offers medical-grade skincare and spa services for our patients seeking non-surgical cosmetic enhancement. These innovative treatments can achieve a number of aesthetic improvements—from anti-aging facial fillers to incision-free selective fat reduction—with convenience and virtually no down time. If you would like to rejuvenate your appearance with lasting results, please visit the pages below to learn more about each service and contact our office today to schedule your consultation! Gryskiewicz Twin Cities Cosmetic Surgery offers advanced medical-grade skin care products to upgrade your personal regimen and help you attain the vibrant, glowing complexion you desire. The collection of take-home treatments from ZO® Skin Health can provide a healthier and younger-looking facial appearance. We also offer the ZO® Skin Health Daily Use products for cleansing, hydration, and sun protection. If you are unsure which products would be most beneficial for your unique skin care needs, the highly trained and licensed skin care staff can recommend the most effective regimen to fulfill your skin care goals. CoolSculpting® is an exciting alternative to liposuction that can remove isolated fat pockets around the body without the need for surgery, incisions, or downtime. Many individuals struggle with areas of localized fat that remain resistant to dieting and exercise. CoolSculpting®, a cutting-edge means of selective fat reduction, uses controlled cooling technology to eliminate fat cells in the abdomen, back, thighs, flanks, chin, and knee area for natural-looking results. Individuals seeking a non-surgical method of body contouring can achieve a 20 to 30 percent reduction in the appearance of fat bulges in one session, with more sessions available upon request to target additional areas or enhance the final outcome of treatment. Wishing you could straighten bumps in the nasal bridge without major surgery? A liquid rhinoplasty is a non-surgical technique that uses strategically combined dermal fillers to improve the shape and/or appearance of the nose. These hyaluronic acid-based fillers can augment certain aspects of the nasal structure to achieve a more proportionate, symmetrical, or attractive result. What’s more, this nose recontouring can be achieved without downtime or anesthesia. Primary indicators of age often include a loss of skin elasticity. This often leads to the appearance of sagging skin and wrinkles. Venus Legacy™ is an innovative non-surgical treatment that uses multi-polar radio frequency and pulsed electromagnetic fields to stimulate the body’s own natural collagen and elastin production. The Venus Legacy™ technology can also be used to break down fat cells, achieving a reduction in mild to moderate cellulite through the application of heat. As a result, many patients experience a smoother, tighter and more contoured look in the treated areas. Microneedling refers to a minimally invasive skin rejuvenation treatment that catalyzes the body’s natural wound-healing mechanisms and revives collagen production for glowing, younger-looking skin. The process can typically be used on all skin types and is designed to improve the appearance of acne scars, as well as to smooth, tighten, and firm aging skin. The SkinPen® treatment is customizable and can be used on multiple body areas and usually requires minimal downtime. For men and women who experience thinning hair, platelet-rich plasma therapy is a state-of-the-art treatment that can stimulate inactive follicles for increased hair growth as well as hair that is thicker and fuller. The process takes advantage of the natural growth factors found in your plasma to raise hair count in the treated area and thicken hair follicles. As PRP therapy is designed to reinvigorate cell growth and healing mechanisms, it can also be used in conjunction with SkinPen® microneedling to rejuvenate aging or damaged skin. HydraFacial® is a versatile treatment designed to improve a variety of skin imperfections—including sun damage, hyperpigmentation, and the presence of impurities—for restored skin health and vibrant results. The unique serums work to exfoliate the surface of the skin while simultaneously enriching it with antioxidants that can brighten and even skin tone for a glowing complexion. HydraFacial® is offered as an in-office treatment and can be tailored to suit your unique needs. Twin Cities Cosmetic Surgery offers a range of rejuvenating facial treatments and medical-grade peels to revive the health and appearance of your skin. From reducing pigmentation and acne to replenishing dehydrated skin, our convenient in-office procedures are personalized to address your area of concern and help you attain a radiant skin appearance. For women who seek to rejuvenate their feminine wellness, THERMIVa® is a non-surgical procedure that uses radiofrequency energy to reduce laxity caused by stretching of the vaginal muscles. Patients who wish to improve the cosmetic effects of the natural aging process, childbirth, and menopause on their intimate areas may be able to find a solution in this non-invasive vaginal tightening treatment. THERMIVa® can also increase sexual satisfaction, increase moisture, and may even decrease mild incontinence. Using gentle heat application from controlled radiofrequency energy, THERMIVa® is designed to revive collagen production in the treated area and gradually tighten vaginal tissue with no downtime. A Lip Flip is an advanced lip augmentation technique that can soften the pout and enhance the lip shape by relaxing targeted muscles around the mouth, allowing the lip to naturally roll outward. This is done with very conservative injections of a cosmetic neurotoxin, such as BOTOX® Cosmetic, Dysport®, or Xeomin®. As no lip fillers are used during treatment, a Lip Flip can be a simple and effective way to make the lips appear more voluminous without actually adding volume.